In this article I will describe the basics of configuring and monitoring JDBC connections between the eBusiness Web Tier and the Database, then cover some common issues to help identify root causes for both Release 11i and Release 12 of eBusiness Suite. In general, whenever a functional page requires data from the database, it makes a call to a lower code level (the Java layer in the Application Object Library, also known as AOL/J) which handles the database connectivity. The AOL/J code provides a JDBC connections to the database through the Database Connection Pool. You should note that the Java Connection Pool mechanism for eBiz is completely provided by eBiz code and does not use the mechanisms provided to pool connections through Java language directly, nor through the Application Server configuration. The "s_dbc_file_name" variable in the CONTEXT.xml file provides the dbc filename and is located in the $FND_TOP/admin/<>_ directory. It is always a good idea to understand how your environment looks when things are going well, to give you a baseline to compare against if you need to investigate any issues. You will most certainly need to review the JDBC connection data if you are experiencing issues. Login to OAM directly or via the "System Administration" responsibility. Click the "Expand all" link to list the Servers and all the JServ processes for OACoregroup. This shows memory usage, connections (including "Potentially Leaked") and Application Module information. You can click the "Add to support cart" to capture this page if Oracle Support are assisting your investigation. The "old" way of gathering this data was to use the URL http://host.domain:port/OA_HTML/jsp/fnd/AoljDbcPoolStatus.jsp but this will only give data for the one JVM you happen to connect to, so may not be so useful in multi-JVM environments. Issues with the JDBC connection pool tend to be of a nature whereby the number of database connections increase over time and do not seem to be released again. If this continues unchecked, then you may find the database will run out of sessions/processes and/or the Middle Tier JVM will run out of connections or memory. A "quick fix" would normally be to restart Apache, but the underlying cause would need to be investigated further. I'll discuss each of these areas next. As this is the code that handles JDBC connection, it is often the first area to be blamed, but the JDBC connection pool can only drop database connections where the calling application has released the JDBC connection it holds in the pool, so it often turns out to be an issue higher up the code stack. Number of JDBC connections increase after ATG Rup 5 because jdbc parameters are lower case (Metalink Note 459072.1) describes a known issue with Apps 11i. 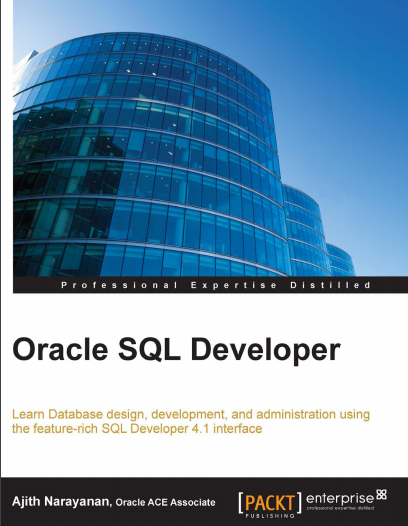 You should note that the JDBC driver version has no relation to the Database version, as it is installed on the eBiz Middle Tier. For example, the latest version of JDBC drivers provided by patch 4899697 (9.2.0.8) is the same patch for all RDBMS versions. OA Framework calls AOL/J when it needs a database connection, and it is up to OAF to release any such connection when it has finished with it. There is an added complexity, in that OAF also has its own pooling mechanism for the OAF Pages, which is the "Application Module pool" (AM pool). This means that although a user may have finished with a page, the page and its associated database connection are retained for a period of time. You can test the effect of disabling AM pooling by setting the profile option "FND: Application Module Pool Enabled" to "No". Use this technique with caution if considering this for a production environment. 2. Specific bug where database connection is not released. This would generally require patching. Issues at this code level would tend to be a specific bug where a connection is not released. If investigating issues with JDBC connections increasing, it may be useful to minimise the database connections as much as possible by de-tuning the JDBC pool. This may reduce end user performance, so should be used with caution if considering this for a production environment. This is necessary as the AM objects hold a JDBC connection whilst they are alive, even if they are not currently used. Set the profile option "FND: Application Module Pool Enabled" (AMPOOL_ENABLED) at SITE level to a value of "No"
Identifying issues with JDBC connections can sometimes be a frustrating process, as the investigations may need to consider multiple failure points and complex architectures. I hope this article has given you a better understanding of JDBC Pooling and where to start looking for issues. How Oracle Database Uses RAM ?